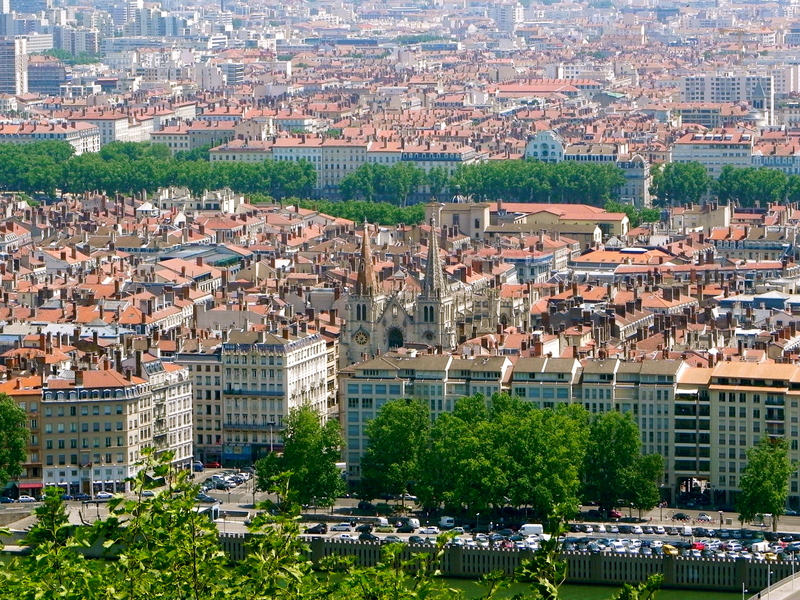 Thinking of France and Remembering Lyon…. 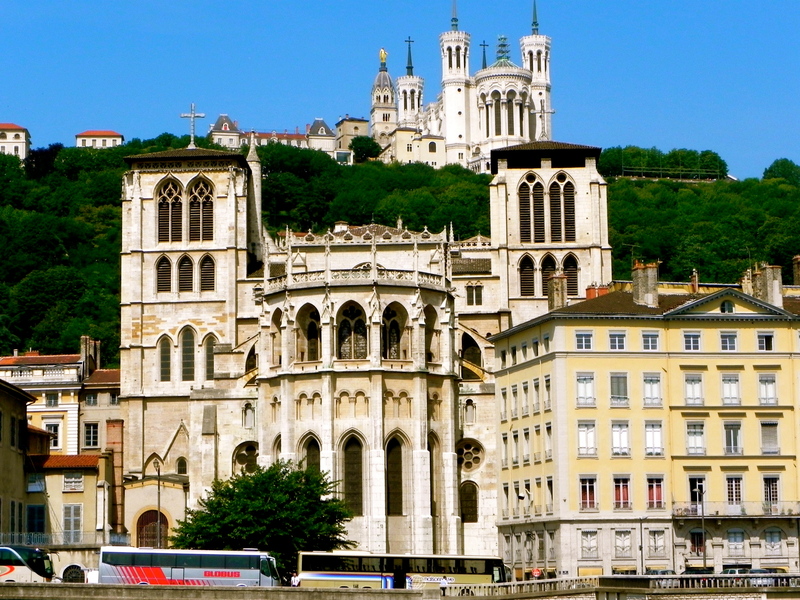 Several summers ago I was fortunate enough to visit Lyon, France. 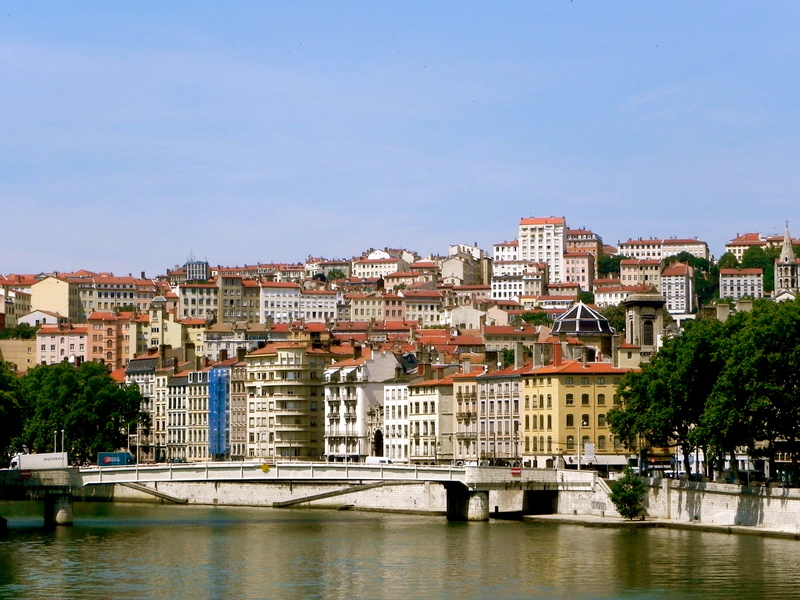 If you don’t know this, many consider Lyon the gastronomical capital of France and if you are a lover of French foods like me Lyon was like visiting the Food Holy Land. One of my favorite dished that I had while in Lyon was the Salad Lyonnaise. Ok I know what you are thinking. 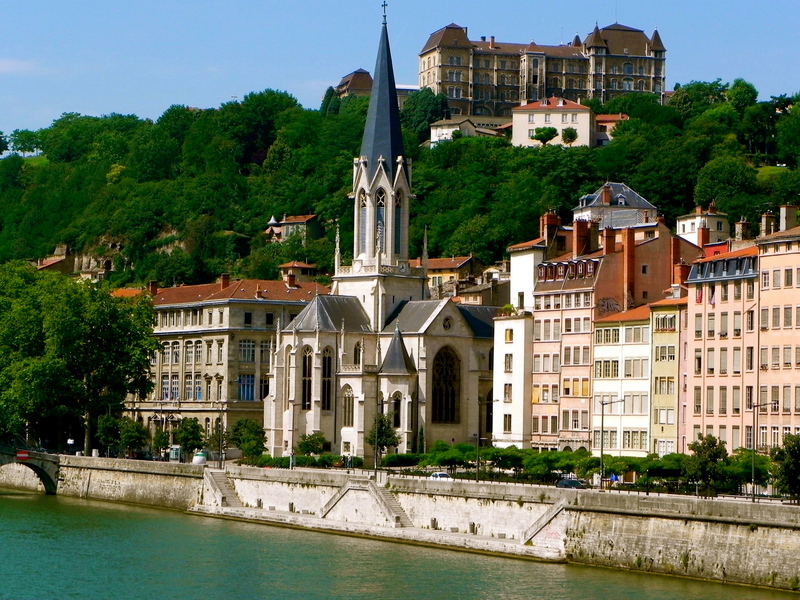 This is the food capital of France and I’m telling you my favorite dish was a salad? The morning had started out with a trip to the local food market along one of the rivers where we purchased some goodies for breakfast. Followed by a morning wander through the local Ancient Roman Ruins then touring a few of the local churches. By mid afternoon we were hungry and found a little local café for late lunch. I wasn’t in the mood for something heavy because it was quite warm out. I had noticed that many of the local cafés had been advertising a Salad Lyonnaise and salad sounded perfect on a warm summer day so that is what I ordered. This salad comes out and it is just simply stunning. Bright green frisee lettuce, hot bacon, crunchy croutons, and a delicately poached egg all coated in this amazing light and tangy vinaigrette. It was perfection and something I knew I was going to be making once I returned home. So when I’m missing France I love to make my version this salad. My salad is very similar except I replace the frisee lettuce for some crispy romaine and Mesclun mix. I love all the varying shades of green and the random purple lettuces leafs in Mesclun mix. Also I don’t think that tomatoes are common on this salad but my tomatoes are at their peak right now and it seem a shame to make a salad and not add homegrown tomatoes. Warm salty bacon, cold crisp lettuce, tangy dressing, juicy red tomatoes, crunchy croutons, all topped off with a creamy soft-boiled egg. See what I mean? It’s a sensory experience. Now if you like poaching eggs then do a poached egg for this salad. I will admit I hate making poached eggs; it stresses me out for some reason. I prefer doing a soft-boiled egg. I just bring a pot of salted water to a rolling boil then with a slotted spoon I slowly lower the eggs into the water and gently stir them once. Then I let them boil for 6/7 minutes. I then submerge the eggs in ice water and let them cool. I like a runny yoke because I love the velvety texture that it adds to the salad, but if you prefer a more solid yoke cook the eggs for 8 minutes. In a medium-sized bowl whisk together the grated garlic clove, Dijon Mustard, Lemon juice and zest, the vinegar and the honey. While whisking, slowly stream in the Extra Virgin Olive Oil until the dressing becomes thick. Taste for seasoning. Wash all the lettuces. Using a salad spinner get off as much moisture as possible then chill the lettuce in the freezer while you prepare the rest of the salad. Heat a skillet with 1 tablespoon of olive oil over medium heat. Cut the bacon into small ½ inch pieces then toss in the skillet. Cook until crispy (about 8 minutes) then transfer to a plate lined with paper towels. Add 1 tablespoon of olive oil to the skillet with the bacon grease and the whole clove of garlic and cook until fragrant (about a minute). Then toss the cube up, crusty bread directly into the bacon grease and olive oil and toss until well-coated let the croutons crisp up over low heat. Then transfer the croutons to a sheet pan and place in a 400 degree oven until crispy, about 10 minutes. Drizzle a couple of spoonfuls of the dressing around the edges of the bowl. Add in the chilled lettuce and toss with your hands until everything is well coated. 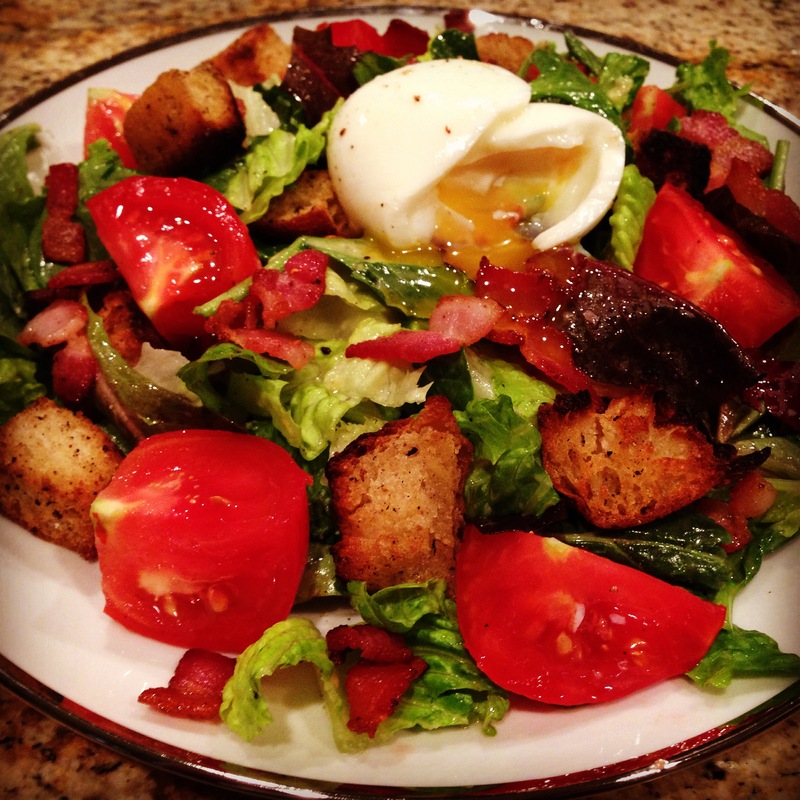 Top with the, bacon, croutons, fresh tomato slices, and the soft-boiled egg. I hope you enjoy this salad as much as I do and it leaves you dreaming of France as I often do. 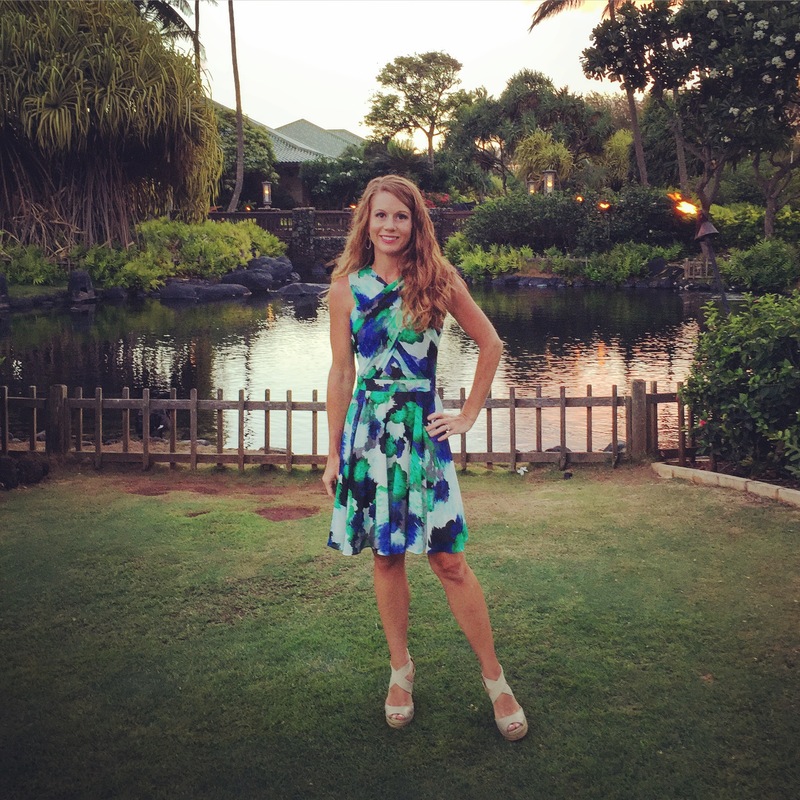 Garden Vegetable Soup and Memories…. 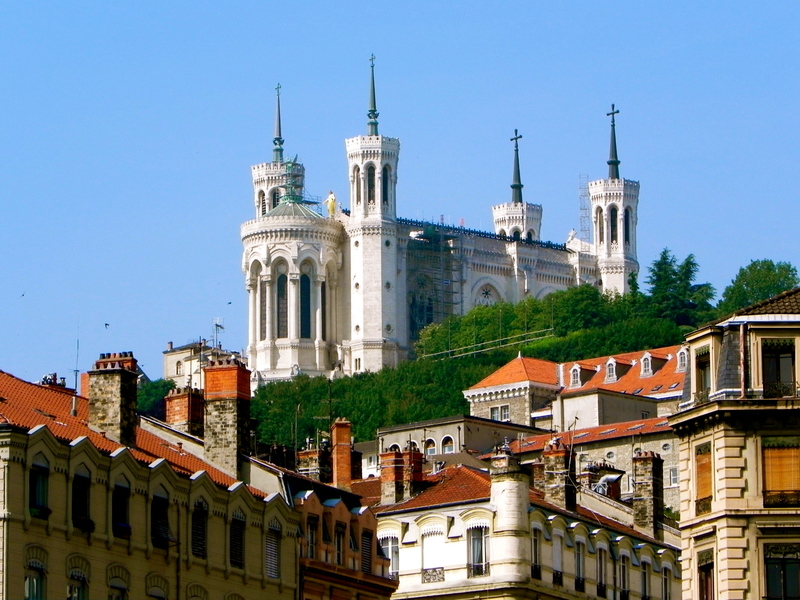 What a beautiful series of photographs of my beloved Lyon, a city very close to my heart. 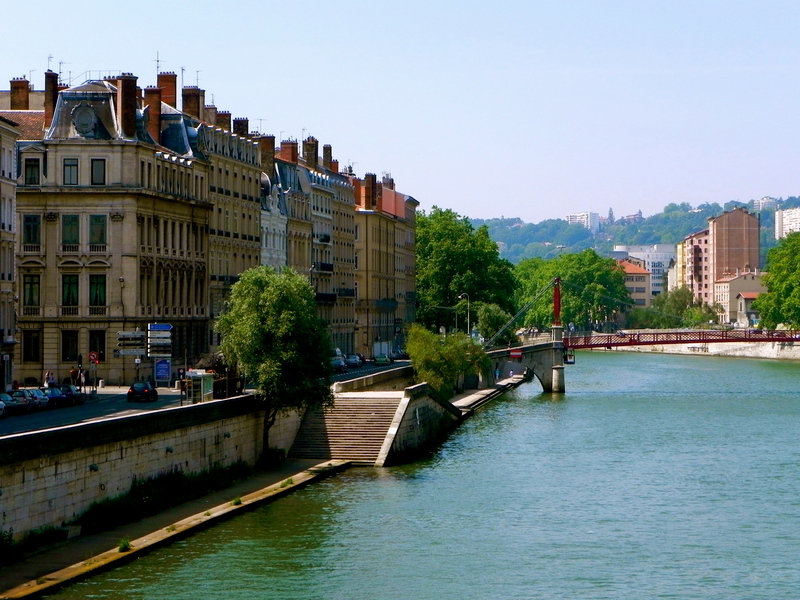 I absolutely adore this city which is so vibrant and has such a rich history and culture.